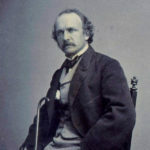 Born in 1821 in Philadelphia, Pennsylvania, Felix Darley "can well be considered America's first important illustrator." (Reed 17) He was self taught and highly prolific during a long career that included being a newspaper staff artist, illustrator for book publishers and for famous authors including Washington Irving, Henry Longfellow and James Fenimore Cooper, Nathaniel Hawthorne, Edgar Allan Poe and Charles Dickens. With illustrations for these writers, Felix Darley popularized such American icons as the Pilgrim, the Pioneer, the Minuteman and the Yankee Peddler. 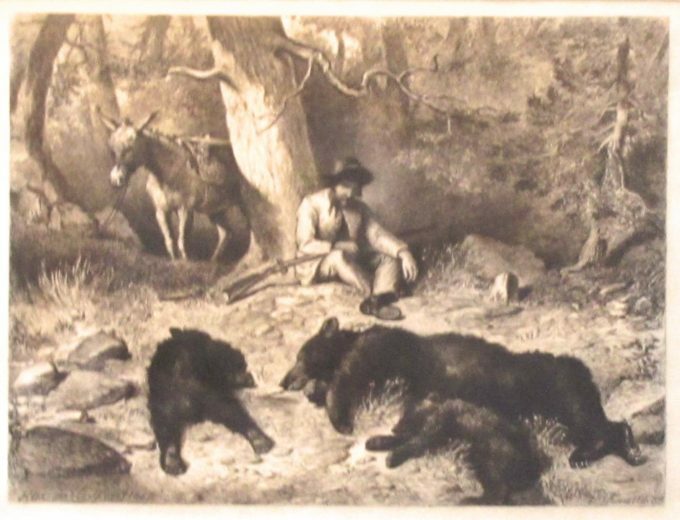 Western art collectors covet his illustrations depicting the settling of the West, the early life on the plains, the Indians, the white settlers, trappers, and hunters. He was especially adept at portraying the dramatic action of the Indian buffalo hunt. Darley's fame was so great while he was alive that many books were advertised as "illustrated by Darley". His talent was that of bringing life to the scene, whether his medium was pencil, ink wash, or oil; he brought the reader into the story. He was also part of the first generation of American illustrators that successfully challenged the dominance of English and European mid-19th Century illustration. Darley's first independent projects, published in 1843, were a series of outline drawings depicting the "noble savage" in "Sketches in Indian Life", and pen drawings of Philadelphia street life for a publication, "In Town and About". His fame was a reflection of the company he kept, and notable people chose him to illustrate their books and magazines. A high point of Darley's career was his illustration project for the complete works of James Fenimore Cooper, involving designs for 64 steel engravings and 120 wood engravings. This led to the publication of 'The Cooper Vignettes', which showcased Cooper's works. Felix Darley resided in Philadelphia, his birth place, until 1849 when he had gained a strong recognition. He had used his spare time to create woodcuts for magazines, and took money he saved to finance a sketching trip, which convinced him of his artistic talents. He moved to New York City, thinking that if he became more well known he would be closer to the publishers. There he created designs for bank notes and exhibited at the National Academy of Design. His designs were reproduced with all the leading graphic techniques---lithography, wood engraving and steel engraving. His style was very linear and did not have a lot of shading. He "drew in a free, spontaneous manner and a romantic spirit, invariably capturing the essential point or flavor of the scene to be portrayed." (Baigell 85). Normally he worked with pen alone but also did flowing sepia with pencil outlines. He later moved to Claymont, Delaware, after marrying Jane Colburn in 1859, to reside at his studio/estate, "The Wrens Nest". It is believed his move to Claymont was to seek a simpler life that would include cows, horses, rivers and streams simply a slower pace. He lived there until 1888, when he died, pencil in hand. Howard Pyle, a well-known Delaware artist and instructor to N.C. Wyeth, was seven years old when Darley moved to Delaware. Some historians think that Darley influenced the young Pyle, although he evolved into a different style of illustration.